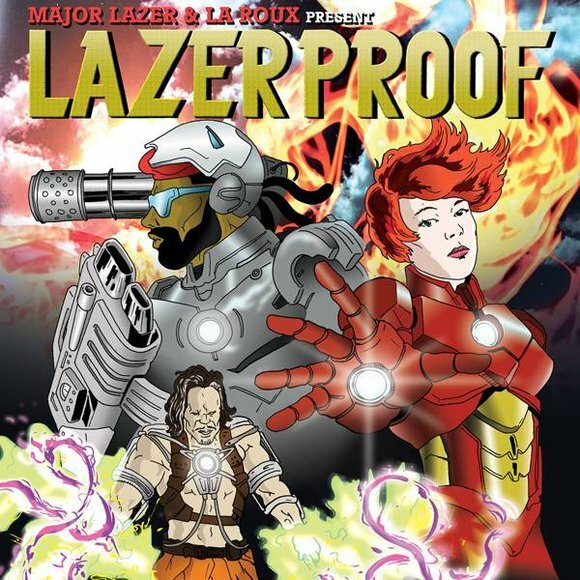 Major Lazer is the collaboration between DJ's Diplo and Switch and they released a mixtape called Lazerproof which features mashups/remixes of the songs off La Roux's self-titled debut album. I put the whole thing on my Ipod and three quarters of the time when a song from Lazerproof comes on I scramble to get it out of my pocket in order to change the song, fortunately the whole thing isn't bad, just a little hit or miss with my musical tastes. One song that never fails to get my attention (in a good way), is a combination of Drake's Houstatlantavegas and La Roux's Growing Pains. The two songs seem to go together perfectly, judge it for yourself.